The Kent Emergency Management Division, part of the Puget Sound Regional Fire Authority, announced today that it has been awarded a $10,600.00 grant through the King County Emergency Medical Services, CPR/PAD program. 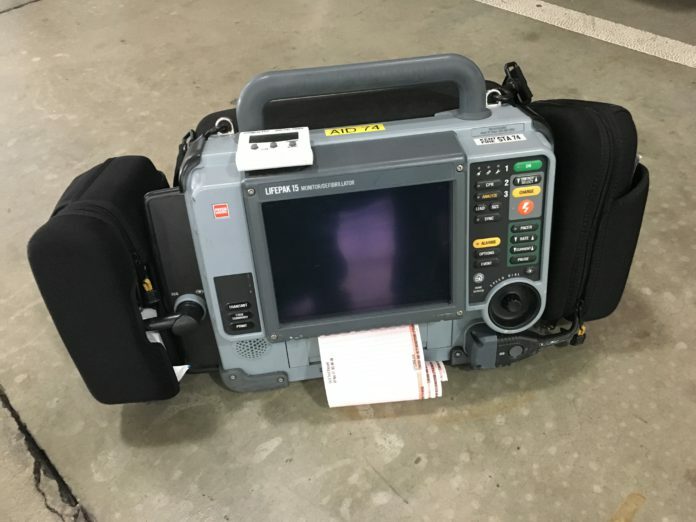 The grant will allow the city to receive public accessible automatic external defibrillators (AED) and CPR training materials through King County. AEDs can deliver a life-saving shock to the heart when used on a patient in cardiac arrest. Five defibrillators, along with extra batteries and the patches that attach the AED to a patient, will be purchased for police vehicles. Police officers, who are often already in their vehicles, can be the first to respond to and arrive at a scene where an AED is needed. Kent police have a solid record of saving people in cardiac arrest by using their AEDs. One AED that will be purchased through the grant will be used by city staff at Lake Meridian during the summer months and by the Kent School District’s athletic department the rest of the year. Until now, one of the two AEDs located at the Kent Commons has had to be relocated to the lake during the summer. With this grant, there will be two AEDs at the Commons at all times. The importance of having an AED available at Lake Meridian was shown last summer when lifeguards used one on a teenager who was in cardiac arrest after being underwater for almost 10 minutes. The teen survived due to the quick work of the lifeguards and the use of the AED to shock his heart. The remainder of the grant will be used to purchase mannequins and other CPR teaching supplies. The public can contact their local fire department to learn more about taking a CPR/First Aid class.